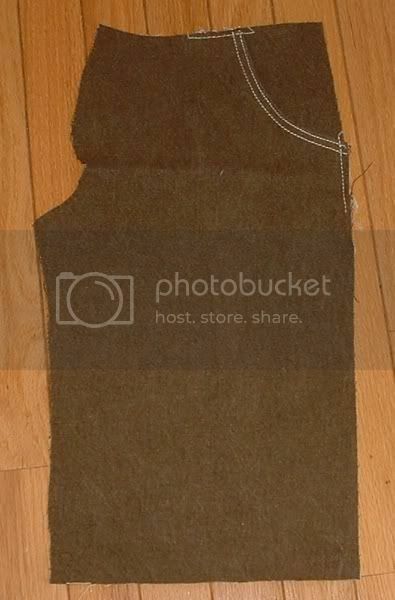 Here's a sew-along for jeans-style front pockets that I put together. Enjoy! There are 3 pieces--the pants front, the pocket facing, and the pocket back. Your pattern directions might have other words for these pieces. 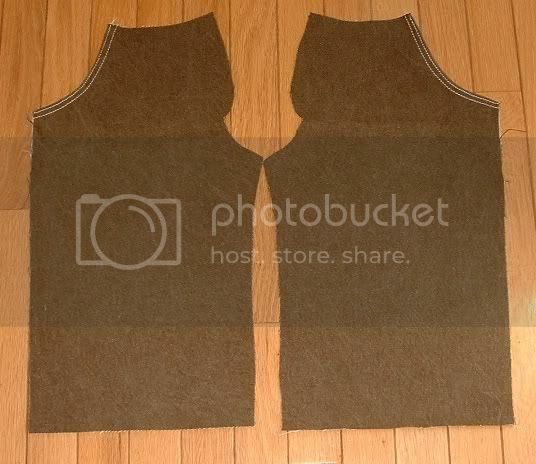 I didn't take a picture of the pieces before sewing them but you should get the idea anyway. 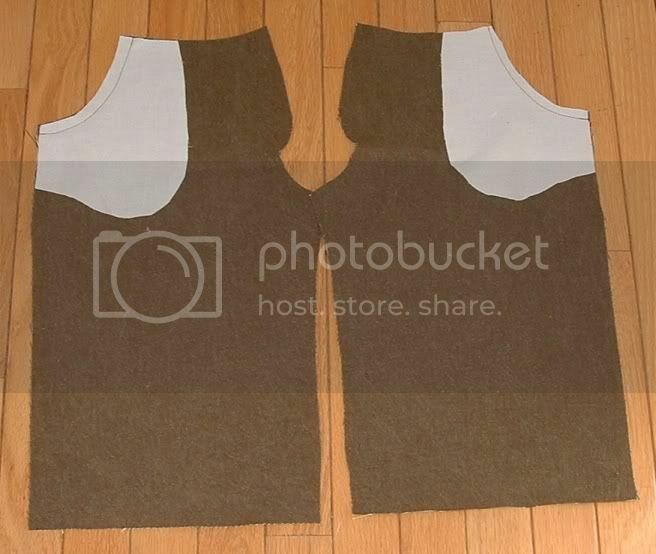 Step 1: sew the pocket facing, right sides together, to the pants front. Trim the seam allowances. I trimmed the one on the right, it's a little funny at the top there. After trimming your seam allowances, flip the pocket facing to the wrong side of the fronts and press in place. Some patterns have you understitch, which is a good idea but not totally necessary. 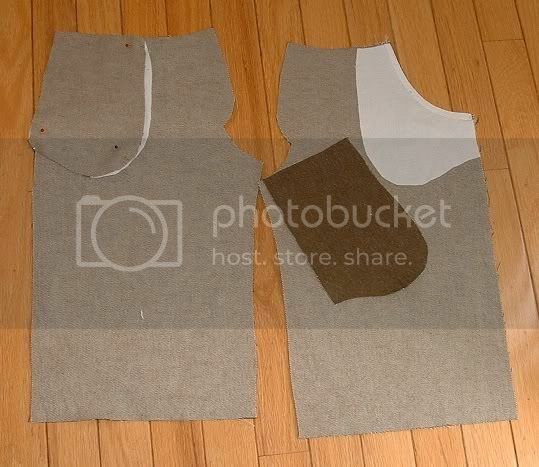 Step 4: pin your pocket back piece, right sides together, to the pocket lining. It didn't line up exactly for me but that's ok. I will sew the curved edge--from the red pin to the other red pin. 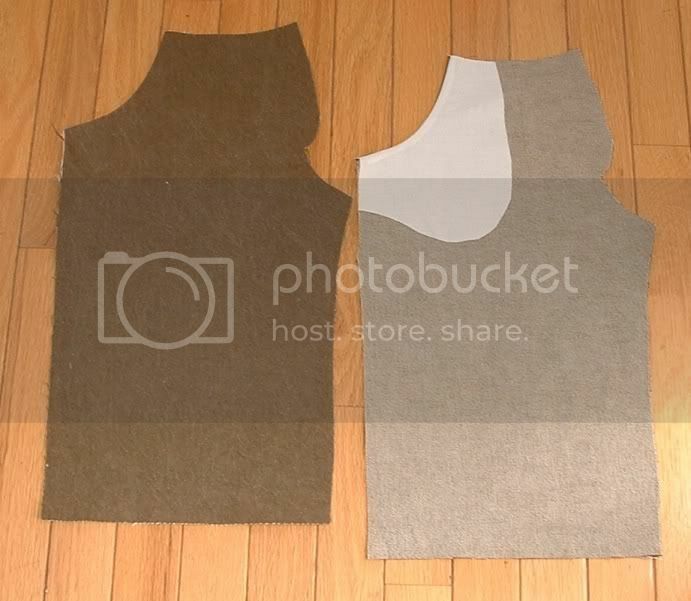 Step 5: Baste the upper and side pocket edges to keep the pocket in place when you sew the side seams and waistband. I used topstitching thread so it would show in the photo. Still working on the formatting but it's a bit better now. 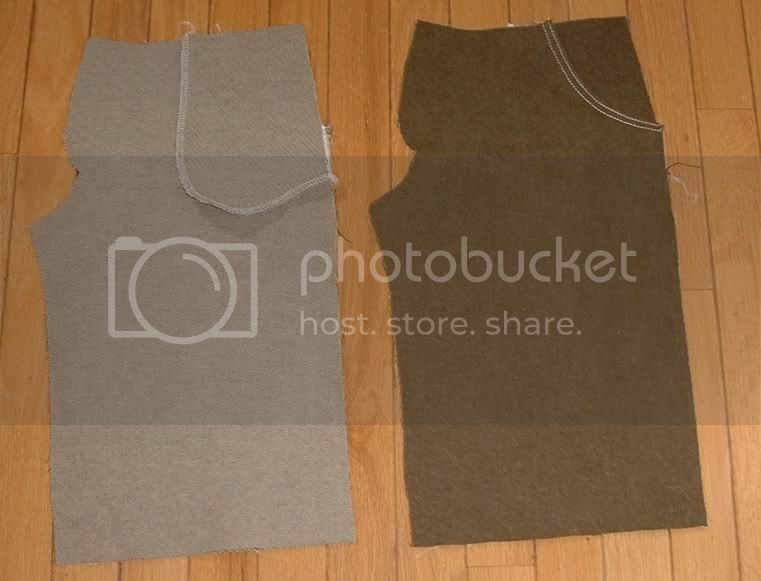 Thanks for the photos.......I'm trying to construct mens wool pants for the first time. No idea what the facing vs. the lining would be. This is helpful, but my facing design looks very different. Wish me luck! this,,,along with all your other tutorials is so fantastic and practical and beautifully finished. Kudos to you! oh yeah! the pictures help me understand how I do things for me to fit well the pockets of pants! thanks!